Anyone considering communicating with foreign clients in any way – by means of a website, advertising campaign, social media, PR, blog or any form of commercial activity – should have full confidence in their language provider. 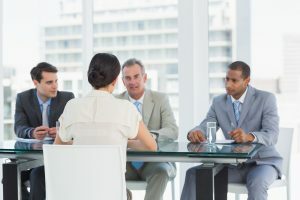 Since you will be leaving them in charge of talking to foreign clients on your behalf, it goes without saying that you should check out your translator’s credentials in order to avoid major mishaps. Read on to make sure you know what to look out for. Where are they from? Where do they live ? It’s not rocket science, but we’ll never say it enough : it is best to work with a person whose native language is their target language, ie the one they’re translating into, because growing up speaking a language is the only way to fully grasp it. This is the number one industry standard that you should adhere to, even if you decide to ignore every other piece of advice. It is sometimes argued that translators should be based in the country of their target language, too, but the argument is a little flawed: it would be difficult, at best, to reach a decent grasp of another language without spending sufficient time reading it, listening to it and speaking it with native speakers. And where is the best place to do that? It is true however that translators should keep in touch with their native language, so you might want to ask them how they go about that (for example, I live in the UK, but I read in French, watch French TV and listen to French radio, and I speak French to my kids). Seems kind of obvious now we mention it, right ? Believe it or not, being bilingual doesn’t make someone a good translator. The specialist skill of translating is learned through studying, experience, mentoring, or a combination of all of the above. In the UK, you can look for qualifications such as the CIoL’s Diploma in Translation or the ITI qualified membership. In the US, the ATA’s certification is the most common qualification. If they’re not qualified, how much and what type of experience do they have? Think of a translator’s specialisation as their second set of skills. It’s all jolly well and good being able to speak and write in more than one language, but you need to have an idea of what you’re talking about. The clients’ requirements and objectives are not the same for a legal document as they are for a marketing campaign or a book. So, have they translated anything similar before and how much do they already know about your industry? If your copy is written with the objective of influencing traffic towards a website, the translator needs to have a reasonable understanding of how search engines work and they need to know what keywords you’re banking on. So, look for a translator / copywriter who knows how search engines work and is experienced in incorporating keywords to their copy in a natural way. Even the best translators can get square-eyed from looking at the same text over a long period of time, and they’ll be the first to admit the importance of proof-reading. Proof-reading is best done either after a few days not looking at the copy, or by a different reader. It’s a good idea to discuss options with your provider. If you’d like them to proof-read their own work, make sure they have enough time to do it properly. They may suggest their own proof-reader (make sure you clarify who is paying for their time) or leave it with you to manage (read my article on the challenges of proof-reading someone else’s work). It should go without saying that any document entrusted by a client to their translator should not be shared with anyone else but for added peace of mind, you can ask them to sign a Non-Disclosure Agreement. Translator, copy writer or translation agency ? Freelance translator, copy writer or translation agency: what are the pros and cons? Whether you’ve made a conscious decision to expand your business overseas or whether foreign clients have approached you with an opportunity you can’t refuse, it is important to choose the right language partner for your international business venture. Your translator will be responsible for all your communications with foreign markets and you will have little means of checking their work : needless to say, you should have full confidence in their skills and reliability. Let me attempt to explain the main differences between the language providers, their way of working and to list the pros and cons of working with them. Like any middle-man, they sometimes have a role to play. A good translation account manager will aim to understand the objectives, the ethos and the tone of your business and your brand, to find and brief the translator(s) on the project, to ensure consistency across all translations and to make sure the translated documents are delivered in time. More importantly, they will control the quality of the copy by checking the credentials of the translators they work with, by organising appropriate proof-reading and by implementing their own quality control procedure. Finally, they are in a better position to handle urgent and large projects by involving several translators at once (although this may affect the consistency of the results – read my article on why it’s best to avoid urgent and large translation projects if you can help it). The translator delivers the work – which is kind of key, right? Cutting-out the middle man can have many advantages: cheaper translation fee, less potential for miscommunication and more control. However, their ability to manage the whole project and to handle certain file formats (such as web files or graphic files) can greatly vary from one translator to another, and it will pay to check their procedures and their capabilities before entrusting them with a large project. Finally, working with one person is a good way to ensure greater consistency across your documents : a good translator will aim to become an expert in your products and services by asking many questions at the beginning of your relationship (if possible, invite them to spend some time with you so they can gain a better understanding of your business). If you’re happy to do the leg work (such as transferring web content into a Word document for them to access) and to be a little more patient, this can be an excellent and economical arrangement. Generally not a good idea, unless your contact is completely aware that you’re using a machine and that they should therefore take the result with a pinch of salt. Not convinced ? Try this. If you’ve read my “Business in France” pages, you now know that making an effort towards speaking some of your French contact’s language will go a long way to making or breaking the deal. I’ve compiled a list of expression that will sound slightly more formal than your school French. Don’t feel overwhelmed by the words : whilst remembering any of these may get you some brownie points, the simple fact that you’re trying will undoubtedly be appreciated. “Enchanté” (Nice to meet you). Rather than “Merci”, try “Je vous remercie”. “Je vous souhaite une bonne journée”. Stay away from your school days clichés (the only people I have ever heard pronounce the word “Sacrebleu” in my lifetime were either English or senile), and you’ll be on your way to a decent business conversation. As you’ll already know, striking the right cord when interacting with people is key to doing business with them. Your French may not be fluent, and you might not be totally confident on the subject of local business etiquette, but any form of effort in the right direction will be appreciated. In other word, a mispronounced and somewhat hesitant « Bonjour » is still better than a loud and confident « Hello ». Follow the guide for a few more ideas. This is serious French business. Whether you’re here to strike some kind of French deal, to discuss a French contract or tender, or simply to discover or present a new opportunity, this is serious business and there is no need to try and make your contact laugh or smile. Don’t be surprised or upset if they don’t look particularly friendly either: it’s nothing personal (unless you’ve stepped on the boss’s foot on your way in?). In the same vein, make sure you adhere to a reasonably formal dress code (although that may depend on the industry you’re operating in) a give a firm handshake. You should be prepared to speak French as much as you feel capable of. This may not extend much further than « Bonjour », which is still better than nothing, but if you’d like to take it a little further, check out our phrase guide to Business French for the Do’s and Don’t of business French (Here is a free hint, you don’t say « Comment ça va ? » to a business contact unless you have met them several times and have a good relationship with them). In the same vein, it might pay to prepare some documentation, brochure or at least a web page translated into French or written for the french market. Trust me, your contact will appreciate the gesture and if you’re going to work with France, it will be probably be needed in the long term anyway. It goes without saying that you should aim to be on time, but don’t be too early. It’s simply not French. The French drink coffee all day, especially in a business environment. If you decide to accept a coffee, expect a strong and small expresso-like drink presented with sugar cubes and a spoon for you to help yourself to. If you’d rather drink yours long, weak and milky, I suggest you ask for a glass of water instead and save that discussion for the Starbucks down the road, later. International trade means different currencies, and whilst this was always a consideration, the recent referendum has drastically affected the exchange rates across the board. If you sell your products or services overseas (this doesn’t just concern France and the rest of Europe: although the Euro is obviously at the heart of this crisis, the financial markets have been affected all over the world), here are a few things you can do to limit the damage. Should you invoice in the local currency ? If this is a regular occurrence, consider opening an account in the currencies you use the most. This allows you to wait for a favourable period to change your monies into Sterling, and you may even find it useful should you need to purchase products or services in the relevant country(ies). Your bank probably offers currency accounts, as does Paypal. Additionally, your clients will appreciate the fact that they won’t have to worry about the exchange rates either. Rather than simply allowing your bank (or your client’s bank) to manage the exchange, get paid in currency and consider using the services of a money transfer provider. Compare their rates beforehand like you would the quotes of any supplier, and go with the cheapest. Since I swapped a comfortable in-house translator’s seat for the altogether more wobbly one of a freelance translator a few years ago, I have had to be a lot more involved in the sales and marketing function of my own business. This hasn’t been an uninteresting path and, amongst other new challenges, implied spending a lot more time researching potential clients’ branding and marketing. It was during one of these browsing journeys that I met a new competitor and growing stakeholder of our industry: Google translate. Of course I was already aware of its existence and its, well… prowess! I’d always conveniently dismissed it as irrelevant and unimportant. “Decent companies”, I foolishly thought, “see right through it. They know the importance of a proper translation because they respect their foreign audience”. My recent discovery doesn’t therefore reside in the outrageous results produced by automatic translation systems, or even in being introduced to GT’s fellow fraud: the “French speaker in the office” (capable of equally unintelligible content). No, the terrifying new fact for me was the realisation that, not only do some businesses consider automated translations a real alternative to professional ones, but worse, readers are willing to accept such abysmal wording as a perfectly acceptable language and may even learn from it and incorporate the new syntax in their day-to-day speech. The first time I heard a fellow French expat refer to the fact that “il devait s’asseoir avec son patron” (literally, “sit down with his boss”), I thought it thoroughly unfrench, yet funny. The second time a French waiter at a local pub found himself “occupé à mopper le floor” (“busy mopping the floor”, with the English word declined according to French grammar! ), I kind of half-smiled. Give it a proper go! My recent discovery doesn’t therefore relate to the outrageous results produced by automatic translation systems, or even to being introduced to Google Translate’s bedfellow, the “French speaker in the office” (capable of equally unintelligible content). No, the terrifying realisation for me was that, not only do some businesses consider these translations a real alternative to professional ones, but they are then quite satisfied that their attempt at international marketing was sufficiently conclusive to dismiss foreign markets’ potentially large revenue on that single basis. If you rely on a British saying involving peanuts and monkeys, Google Translate is top-ape. Admittedly, the fact that it is seemingly free is an appealing factor in the current recession. But consider this: if you have spent time, effort and often copious amounts of money on your branding, advertising and PR (and I’m not even counting your staff’s precious hours whilst they fiddle with the Google Translate interface! ), can you really run the risk of it being mistranslated? Let’s imagine that you have made a large investment in a five-star chef, a modern kitchen and fresh ingredients in order to put together an amazing menu for your guests. Would you then hire volunteer and untrained staff to serve it to them? Part of the problem lies in the confirmation that Google itself gives of the existence of a term it has created, by incorporating it to other websites translated in the same way. How many times can you question “press folder” (literal translation of “press pack”), before you accept that you, along with most marketing professionals and as many dictionaries, are just suffering from acute memory loss and start using it with your fellow PR specialists? And will they follow suite and start using it in turn? I’m sure I speak for most translators when I report my puzzlement after searching for a term in my target language, only to find that the mistranslation is taking over the net to the point where it is near impossible to determine which one is correct. And at that stage, is it still a mistranslation, or does it become acceptable? Of course we will all agree that a language must evolve and adapt, and some might even argue that if an expression, be it a mistranslation, is commonly accepted and used, then it becomes correct (not unlike the world famous Tarte Tatin became a delicacy after it was a cooking error). But upon further investigation, it seems it takes a particularly good error to make it in the dictionary. In the meantime, only human brains are capable of realising that the New Forest should not be translated as “la nouvelle forêt”. I find this conclusion reassuring as it should mean that machines won’t take over for some time yet and that Google is, contrarily to some online announcements, definitely not God. At the risk of enriching our vocabulary with a new word, our translation community, as well as the multi-lingual business world, should consider the following question: we were always warned against the dreaded “faux-amis”, should we now beware the somewhat sneakier “googlisms”? > Google Translate est la transformation de langues? > Google Translate is the transformation of languages? > ¿Está Google Traductor transformar idiomas? > Is Google Language Translator transform? > Ist Google Translate Umwandlung Sprachen? > Is Google Translate transformation languages? Small businesses can double their customer base by selling to France – but what are the pitfalls? As many small UK businesses find it increasingly difficult to meet their targets and keep afloat, more and more of them are marketing across the Channel in an attempt to increase their prospective customer base. You can get an international marketing plan going with as little as £500, but beware of the pitfalls (check out my list of Do’s and Don’ts of doing business in France). With technology becoming smarter and more ingenious by the minute and multilingual marketing agencies fast emerging, selling overseas has never been easier. But many companies seem unable to convert their marketing efforts in France into new business. Why and what are the most common mistakes people make? Language is by far the most important aspect of selling to a different country, yet one of the most common errors British businesses make is to think that they can approach a foreign market with brochures and websites in English and get away with it. Yes, someone does need to speak French! But it needn’t be you…. Some form of French marketing material is a must: an English website won’t rank on French search engines, English banners won’t attract attention from a French audience, and even if you somehow manage to make contact with prospects, your literature, correspondence and other contracts will soon put them off if they can’t understand it. A bilingual contact is also paramount; you need to be able to communicate with your customers in more than what’s left of your school French, and Google translate won’t cut it either. I once worked with a company who advertised ‘French speakers’ as part as their customer service, counting on email correspondence backed by automated translation to deliver the service. They eventually lost most of their contracts with French businesses as clients phoned up and discovered that they couldn’t communicate with their supplier. The most affordable option is to employ a bilingual marketing agency (such as www.frenchmarketing.co.uk). This will give you access to all the benefits of a French office as well as the experience of a French marketing expert at a fraction of the cost. They can be at hand to represent you at all time but you only pay whenever there is work to be done. A French speaker in your UK office. If you are recruiting for any role at the moment, just add the little line Fluent French would be an advantage to your ad’. It might not cost you anymore and make all the difference. A sales person in France. If you can afford their salary and the travel expense that comes with it, hire yourself a French sales person in France. A financially safer alternative is to look for a freelance sales agent to take on your products (“Carte Commerciale”), but note that the commission will be much higher. Look for dealers in France. You can start your investigations with a market report with some emphasis on potential dealers, or simply target your French competitors’ dealers. A French dealer will have the same interest in growing the business in France as you do and they will provide invaluable help with your marketing mix, your sales, your customer service etc. 2. Boss, I need to go to Paris again…. Since you mentioned targeting France as a new market to your sales team, their credit card bill is through the roof and there’s nobody in the office, yet you don’t seem to see the sales flooding in. Sounds familiar? Don’t make the mistake of instantly booking up lots of speculative and cold meetings with prospective clients. There is a lot you can do to virtually warm up leads and seek new business before you get on that plane. Will you need to go to France? Yes, but not to start with. Use technology (http://ways2work.bitc.org.uk/howtodoit/rethinkingbusinesstravel/reducingbusinesstravel for some ideas) to get around the expensive trips to France: webcams, videoconferencing, teleconferencing (try powwownow.co.uk, it’s free), instant messaging and your good old emails and telephone are plenty enough to get you going. If language is a problem, your bilingual marketing agent can step in to translate and help you close a deal. 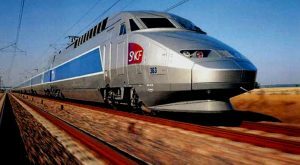 Obviously, you will get to a stage when you need this all important face-to-face meeting with your new representative and with your clients, but by then you can count on your French business to sustain its own travel costs. Presence at trade shows can be invaluable when it comes to growing the business but, before you fork out several thousands of hard earned euros into an event, consider whether you could pair up with a prospective dealer to share the cost and take advantage of their fluent French – they may already be attending anyway. Alternatively, your French Marketing Agent should be able to source a French speaker to attend on your behalf. 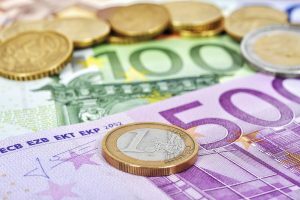 Exchange rates vary from day to day, and many businesses will try and mitigate their losses due to currency variations by setting their price in pounds. This is a big no-no! If you’re selling abroad, embrace the currency and swallow the (probably small) cost of the Euro rising. If you want to try and keep it under control, check out my tips on how to protect your exchange rate, but offering products in GBP to the French is like screaming “I can’t be bothered to adjust to your culture, and I might not bother to send your order either!”. It will wipe out all your efforts in one clean sweep, and the chances are the reaction will be something along the lines of “I can’t be bothered to buy from you!”. Just like with any other marketing exercise, keep the purchasing process as easy as possible for your clients. Don’t expect them to convert GBP to EUR, they’ll sooner walk away and buy it from somewhere else. If you’re sending goods to someone who is registered for VAT in France, it’s likely that you’ll be able to zero-rate the supply for VAT purposes (provided the transaction meets all the conditions outlined by HMRC: http://www.hmrc.gov.uk/vat/managing/international). Trying to exchange cheques or BACs payment with a customer overseas can prove costly (admittedly, it may well be worthwhile for the best deals). Alternatively, if you don’t already use Paypal, now is the time to give it a go as it will make the transactions with France cheaper and easier. Ultimately, if business is likely to pick up quickly and massively, a bank account in France could well be the best option. Talk to several freight companies and strike a decent international shipping deal: unless you sell online services, the chances are you will be sending out samples and products to your newly found customers and you don’t want to put them off with extortionate shipping costs and complicated return policies. Ideally, look for a courier with branches in both countries (www.norbertdentressangle.co.uk). Once you’ve got it sorted, make it clear in your marketing materials that delivery is no more costly with your quality UK products than it is with lesser French ones! If your product works in the UK, there is no reason it can’t reach a similar turnover in France providing you keep things simple for your clients. The translation costs will largely be offset by the fact that you have done a lot of the leg work already when you set up in the UK. By converting your brand and your business model to French in the right way, you’ll find a world of new prospects right across the Channel. For more information, visit www.frenchmarketing.co.uk­.